Rev. 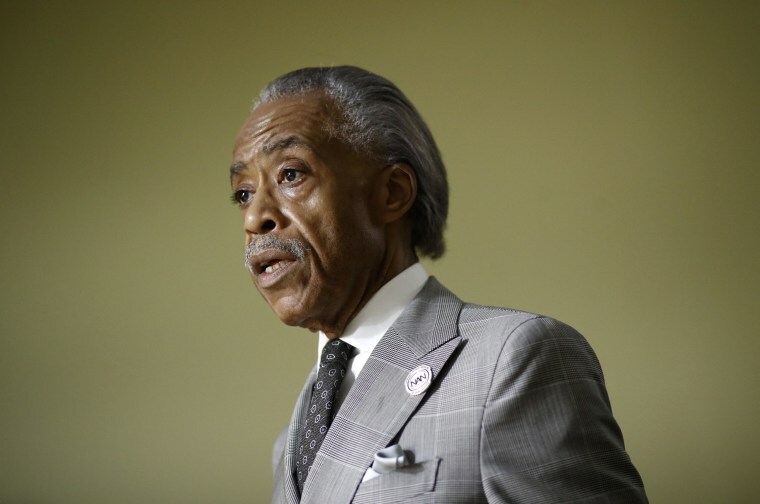 Al Sharpton : Marijuana legalization in New York can't just be about making money. It should be about making amends. Rev. 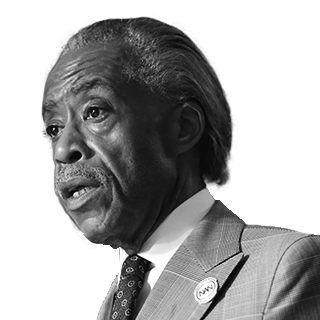 Al Sharpton Marijuana legalization in New York can't just be about making money. It should be about making amends. The wounds from the war on drugs run deep in communities of color. We must reject legislation without reconciliation. Legalizing marijuana is a civil rights cause that the National Action Network has championed for years because of the potential economic benefit for low-income communities across the country, and thus we commend the governor for taking the lead on this issue. With Democratic majorities in both the Senate and Assembly and policy momentum on our side, there is no better time to act. Yet as we prepare to join states like California, Washington and Oregon in embracing legal use and the economic future that will follow, we cannot forget those haunted by the ghosts of marijuana laws (hopefully soon) past: People of color and the formerly incarcerated. Studies show that New York state’s hundreds of thousands of marijuana-related arrests and prosecutions over the past two decades have disproportionately affected low-income communities and communities of color. Marijuana usage is equal among blacks and whites, but blacks are 3.73 times more likely to be arrested for possession nationwide according to the ACLU, and 4.52 times more likely in New York. The same report shows that New York State arrested more people for marijuana possession in 2010 than any other states in the country. And data from the New York State Division of Criminal Justice Services shows that 93 percent of the people arrested for marijuana possession in New York City from January to March of this year were non-white. That's up compared to all of 2017, when 86 percent of arrests were of people of color. For decades, New York’s dark history of racist and classist drug enforcement policies deprived countless black and brown residents across the state of access to education, employment, federal housing and the right to vote, ruining the livelihoods of individuals and families. A report commissioned by New York State on legalizing marijuana shows that marijuana possession is "the fourth most common cause of deportation nationally." The report adds that arrests and incarceration due to marijuana possession "negatively impact[s] the health of communities and individuals by destabilizing families, hindering access to education and health care, lowering employment opportunities, increasing poverty, and limiting access to housing." The wounds from New York’s war on drugs in communities of color run deep. Some progress has been made over the past 20 years, as the New York City Police Department and district attorneys across New York City have adopted less archaic policies around policing, prosecution and sentencing for marijuana crimes. A legal adult use program will continue to generate savings for state law enforcement, decreasing police time, court fees and prison and administrative costs — according to the government's own research. And, with the revenue for adult-use marijuana in New York estimated at $1.7 billion statewide — more than Colorado — there's an even greater economic argument for legalizing. But history should prevent us from having any conversation about marijuana revenue without first addressing reconciliation. The NAN supports the nascent “We Rise to Legalize” campaign in New York, arguing that any marijuana legalization bill should create an easy and expedited process to expunge non-violent marijuana convictions from criminal records, expand re-entry programs to people affected by pre-legalization marijuana arrests and give priority for licensure to women and minority-run businesses, as well as nonviolent offenders who had been convicted on past marijuana charges. And, when the profits from legal sales do come, “We Rise to Legalize” will work to reinvest profits from pot businesses into minority communities most harmed by the current drug laws and create sustainable jobs in the marijuana industry for those who need them most. This is important because we've already seen that, when these considerations are not taken into account, the effects of criminalization continue to fall disproportionately on people of color. Take Colorado for example— there, where the disproportionate rate of arrests was lower than in New York, lawmakers didn't allow anyone with a felony conviction for marijuana to apply for a retail license to sell it legally. In Massachusetts, the 2016 ballot initiative to legalize included both licensure for people with marijuana convictions and amnesty programs for those with prior convictions. California's 2016 legalization initiative included expungement and re-sentencing provisions, and Oregon's 2014 legalization included licensure provisions and then, with a 2015 law, allowed people convicted of marijuana crimes to apply to have their records expunged. In New York, we have organizations like the Drug Policy Alliance to thank for getting us this far: Their efforts crafting sensible drug reform policies, promoting harm reduction and advocating for criminal justice reform were crucial. But a new, broader grassroots movement is needed — in the spirit of the resistance — demanding that any adult-use negotiations have not only businessmen, but activists, faith leaders and representatives from communities of color in the room and at the table. As we race towards a bright future of legalized marijuana in New York, we cannot continue to leave the most vulnerable in the dark. Doing so will be an endorsement of the resistance movement stirring the nation, showing our leaders, in an era where discrimination, bigotry and “leaving people out” seem to be the prevailing sentiments of the day in Washington, New Yorkers are committed to marching forward and, in this new direction for our country, no one will be left behind.